Brain tumor can be explained as an abnormal lump of tissues or cells within the brain of a patient. These tumors can lead to death of patient & therefore it is necessary to remove them as early as possible. However, not every brain tumor is operable. Oncologists consider several factors like the size, location & nature of brain tumor during assessment for deciding whether it is operable or not. Depending on its location, brain tumors can be classified into two categories – operable & inoperable brain tumors. Operable Brain Tumors – Brain tumors which are easily accessible & can be efficiently removed without damaging the other sensitive regions of brain by various surgical techniques are known as operable brain tumors. Inoperable Brain Tumors – Inoperable brain tumors are those which are located in remote areas of the brain. There may arise a risk of damaging nearby healthy brain tissues while operating such tumors. Treatment of such brain tumors mainly relies on the overall health condition of patients. Surgeons will decide an appropriate treatment plan based on the extent of growth, type of tumor & current medical status of patients. Brain tumors may recur again after treatment. It is extremely important for the surgeons to identify the type of tumor precisely to avoid future complications. Surgeons may choose a suitable procedure from the following brain tumor treatment options. Brain Tumor Surgery – Surgery can be performed for removing the abnormal brain tumor as much as possible without damaging the healthy tissues of patient’s brain. Due to the chances of complications, surgeons may suggest other treatment alternatives. Radiotherapy – Radiotherapy is considered as the best alternative for treating inoperable brain tumors. It involves targeting high beam radiation on the tumor for destroying the undesired cells multiplication. It is usually preferred when surgery is not suitable. Chemotherapy – It involves administration of powerful drugs for destroying the unusual & harmful cells. Chemotherapy has proven to be a productive method for stopping the abnormal cells multiplication. It is essential for the patients to consult a well-experienced surgeon for ensuring significant outcomes. Strong will-power & positive attitude will aid the patients in a faster recovery following the treatment of brain tumor. Why Visit India for Hip Replacement Surgery? Hip replacement surgery is a surgical operation in which a damaged hip is removed and replaced with a human-made or an artificial implant. Hip distortion may occur because of an injury, illness or gradual decay of tissue in the joint. When is hip replacement surgery necessary? Hip replacement surgery is needed when the hip joint won’t function properly due to various factors such as osteoarthritis, rheumatoid arthritis, tripping, etc. Hip replacement surgery may be required when other options like medications for getting relief from pain, physical therapy and walking aids or cane are no more useful to the patient. How is hip replacement surgery performed in India? Hip replacement surgery or hip joint replacement surgery in India is performed using both minimally invasive technique & traditional method of total hip replacement surgery. In conventional hip surgery, the damaged or distorted hip is removed and replaced with a human-made or an artificial implant through a large incision. While in a minimally invasive technique, this surgery is performed through tiny incisions instead of one large opening. Since these incisions are small in size, patients tend to have quicker recovery period and less discomfort than with conventional surgery although both are having similar benefits. Surgery with minimally invasive technique is performed using only one or two tiny incisions along with some particular surgical instruments. It is however important to note that patients willing to undergo minimally invasive hip replacement surgery should be below 50 years of age. India is a country with highly experienced and skilled orthopedic surgeons initially trained & experienced in the United States and other developed countries. Additionally, hospitals in India are enabled with ultra-modern medical equipment which confirms high-quality hospitalization. Moreover, total expense for total hip replacement surgery in India is very much affordable when compared to other developed countries in the world. What is the cost for hip replacement surgery in India? Hip replacement surgery is divided into two different segments, that is, Unilateral and Bilateral Hip Replacement. For unilateral, the normal hip replacement surgery cost would come around USD 6,000 to USD 7,000 while for bilateral hip replacement surgery this expense would be around USD 10,500 to USD 13,500. By & large, hip joint replacement surgery in India is just a fraction of what it would cost in developed countries like Germany, UK, Australia, Canada or United States. 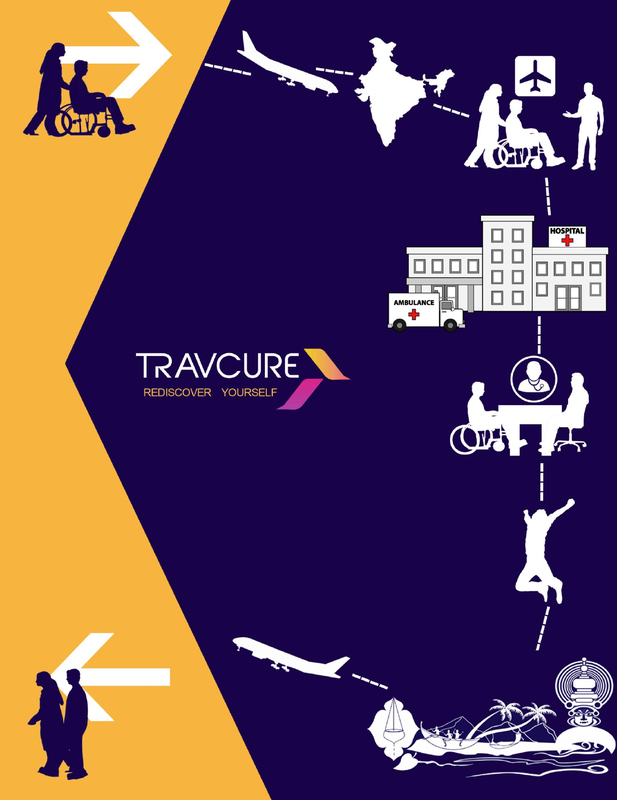 How To Get Medical Treatment In India With Travcure? 1. First you need to visit our site http://travcure.com. 2. We have provided detail information about every treatment on our website, you should check information about the treatment you need. We have also provided list of hospitals and doctors, if you have any personal preferences you can check their details and enquire us. 3 The primary concern of every patient from abroad is cost. So let me tell you cost is upto 60-80% less compared to your own country. So if you sum up cost of traveling, accommodation and treatment, you can still save your valuable money. 4 We have also provided some treatment packages to give you a brief idea of costings. You can check them here. 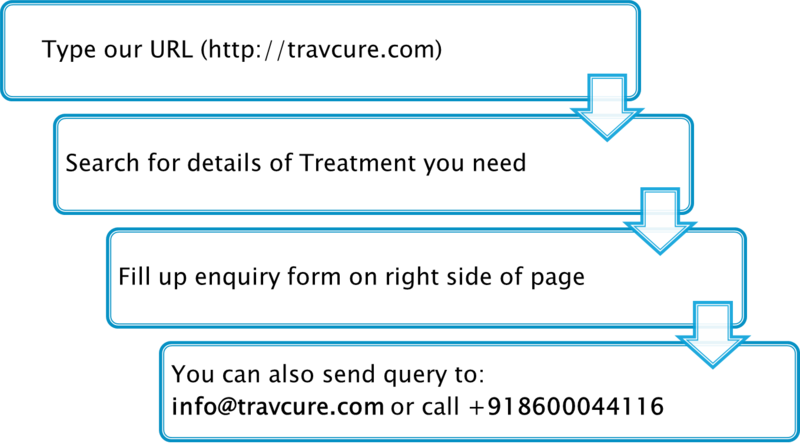 If any treatment package is not covered here, you can enquire us directly at info@travcure.com.